AVerMedia Technologies, Inc., the preeminent name in digital multimedia technology, announced today the release of the DarkCrystal 110. The latest addition to the line of capture cards from AVerMedia, DarkCrystal 110 is packaged with 1-channel HD/SDI to fulfill any full HD capture needs or professional applications. Its compatibility with an expansive range of programs also positions it as a useful tool for application developers. DarkCrystal 110 is the ideal capture card for professionals. Its primary features include the 1-channel HD/SD-SDI video signal input, as well as a high capture resolution of 1080p30 that is capable of creating crystal-clear quality. 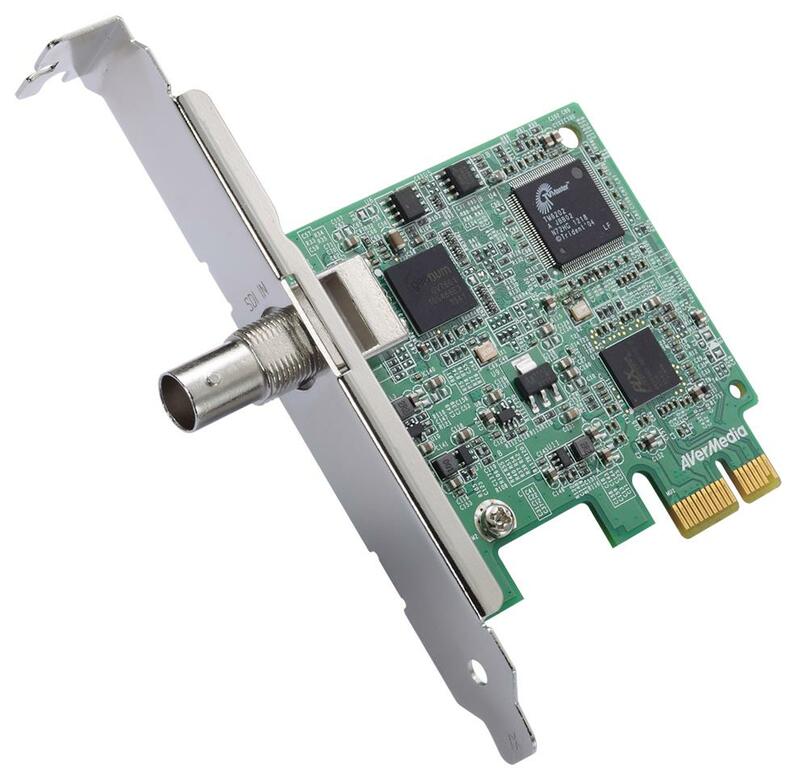 DarkCrystal 110 also fits in PCIe Gen1 slot, and the BNC connector ensures stable reception of high-frequency signals during transmission. With its recording capability, it can pull audio or video content from camcorders, surveillance cameras, and any other devices with SDI output. DarkCrystal 110 supports Windows Media Encoder as well. To heighten user convenience, this capture card is made compatible with a broad range of professional video editing software, including DirectShow, AMCap, Sony Vegas, Adobe Premier Pro, ImageJ, Adobe Flash Media Live Encoder, and more. In addition, users can utilize the comprehensive AVerMedia SDK and Capture Studio management tool – which comes included with DarkCrystal 110 – to better customize their works. This will prove especially useful for professionals. For application developers, AVerMedia SDK provides a complete tool kit to develop software via various programming languages, such as Visual Basic, Visula C++, C#, VB.Net, and Delphi. The applications made available through DarkCrystal 110 are boundless: use this leading capture card in education, corporate, health care, and manufacturing spheres. From lecture archiving to video conferencing and more, find all your capturing needs encapsulated within the DarkCrystal 110 from AVerMedia.